It’s great to see the President making a serious Reauthorization proposal, following up on the State of the Union address. Although we don’t have all the details (White House factsheet here), the proposed program is pretty robust, with especially strong TIGER and transit components and an emphasis on system preservation. The weakest part of the proposal is the financing side. The bill would be funded by $150 billion in “one­time transition revenue from pro­growth business tax reform.” As I said in my remarks on the State of the Union, there are a couple of serious problems with using “tax reform” money. First, use of non-user-fee funds commingles transportation budgets and general budgets in a way that is dangerous to stable funding for transportation. Second, and perhaps more germane, I don’t think that the “tax reform” bird will fly. The President may see tax reform as a way to raise revenue. House Republicans see tax reform as a way to lower tax rates in the upper brackets. Ironically, the President’s remarks in St. Paul launching this initiative were made on the same day as the fifth anniversary of the transmittal of the report of the national commission set up by Congress to recommend how to fund transportation. Does anyone remember “Paying Our Way: A New Framework for Transportation Finance,” published by the National Surface Transportation Infrastructure Financing Commission? A super-executive summary of the commission’s findings and recommendations: The nation is facing a “large and widening gap between federal revenue and investment needs” for transportation. The commission made a detailed examination of alternatives and recommended (1) that Congress look toward a mileage tax as a long-term revenue source and (2) because the needs are urgent and getting to a mileage tax will take a while, Congress should enact a significant bump in the gas tax now. How did that work out? Not well. Here we are five years later talking about more one-time fixes. Although conventional wisdom in Washington holds that gas tax increases, let alone mileage taxes, are in the realm of fantasy, the good news is that things are changing at the state level. In the past year or so, several states have enacted gas tax increases for transportation. In Pennsylvania and Virginia, these increases have been proposed by Republican governors and have received significant Republican votes in the legislature. Now if we could just recirculate that Finance Commission report (yes, it is still available online here)…………..
An alliance of pro-transportation groups in Minnesota – “Move MN” – has launched a campaign for a major transportation funding program. Unusually, the initiative (at least on the website) spends little time and attention on the “needs statement”: the parlous state of existing infrastructure and/or a vision of the wonderful things that can happen under a new program. The campaign (website here) goes forthrightly for a 5% sales tax on wholesale motor fuels to fund the state program, together with a ¾ cent sales tax (on top of an existing ¼ cent tax) for transit in the Twin Cities metro region. There is also a recommended earmarking of federal funds for bike/ped projects. The Twin Cities transit piece suggests that the proposed funding would make it possible to build the region’s transitway plan in 15 years. Excellent (although, why not 10 years?). The gas tax piece, however, is less reassuring. The suggested benefit is funding for MnDOT’s “Corridors of Commerce” plan, which consists mainly of expensive highway widening projects. Minnesota has a continuing problem with this imbalance. There are apparently still many influential people there who believe that pumping hundreds of millions of dollars into highway widenings will “solve” the congestion problem. Some of us ran into this problem five years ago with regard to federal Stimulus funding. 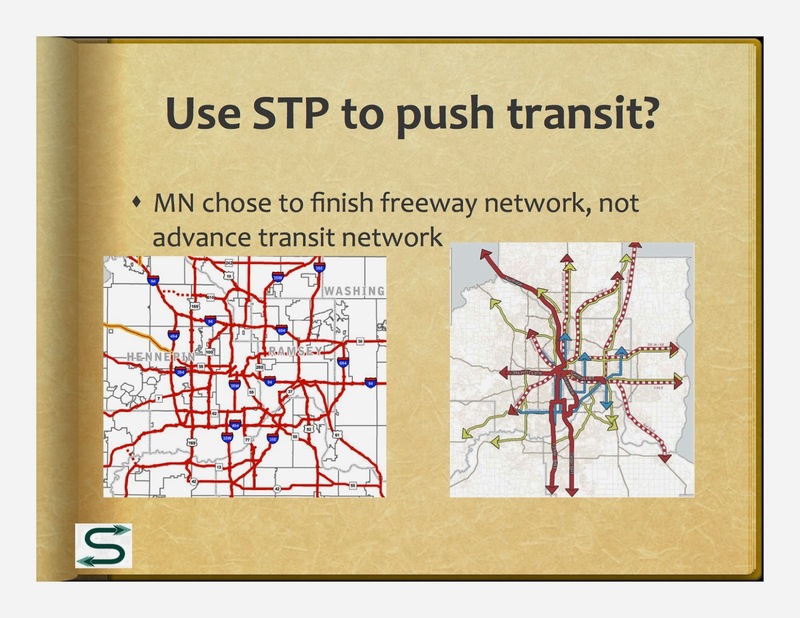 Minnesota chose to spend its biggest nickel on building a small addition to an already very extensive freeway and expressway network, rather than accelerating construction of a planned but largely unbuilt transitway network (see my slide from the time below). At any rate, Move MN is a very well presented initiative to meet an urgent need, and I wish them well. (More discussion on priorities to come!). We are sorry to see that Jim Weinstein is leaving his post as executive director at NJ Transit after a four-year tour of duty (story here). Jim has done a great job in one of the toughest postings in transportation, made even tougher during his tenure by funding challenges, Sandy, and the Super Bowl. He had already done a stint in one of the other demanding jobs in the business: New Jersey Commissioner of Transportation. New Jersey has a reputation for a brash, arrogant style in its leaders (you may be able to think of a recent example), but this reputation has always been exaggerated at best. 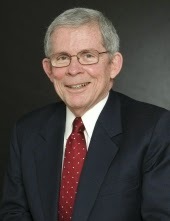 Jim Weinstein has been a very effective CEO who has always demanded excellence in the organizations he has led. But he has also been a true gentleman, a real role model of integrity, vision, mutual respect, and loyalty. In situations where others would be tempted to push the panic button, Jim always manages to stay calm and focused, helped by a great sense of humor! We’ll miss Jim at the helm of NJT, but I have no doubt he will find another avenue of service soon. Five-Year Anniversary of the Very Successful Transportation Stimulus Program! Yes, I said “very successful.” The surface transportation element of the emergency Stimulus bill, enacted five years ago when the economy was cratering, was very successful at meeting its objectives. Heard something different? I have to say that people who label the Stimulus bill a failure are essentially echoing partisan talking points. Those talking points were created during the congressional debates on the bill and have continued to be used throughout its implementation and even to this day. What do I mean by success? Above all, the economic effect of the entire bill saved the national economy from an even worse disaster than it has experienced. I believe (following Paul Krugman) that the Stimulus was, in fact, too small, but at least it warded off complete collapse. As for the surface transportation element, and specifically the “highway” portion, success had two key components. First, it saved many jobs and many construction companies at a time when that industry was flat on its back. Second, it allowed state DOTs to get a huge amount of work done at bargain rates. The entire Stimulus bill was a balancing act between speed (the urgency of getting dollars into the economy) and innovation. Although innovation was in short supply in the STP program, there was a lot of innovation in the related TIGER program. When asked for my policy prescription for future Stimulus rounds, my recommendation was: Put more TIGER in your tank! In the event, there was no second round of Stimulus, although USDOT has managed to keep some sort of TIGER program alive even in the darkest days of Austerity. The real disappointment was that the Stimulus was not repeated. Think of where we could be if we could have continued that level of investment over the entire five-year period! The economy would be stronger, thousands of engineers and planners would not have been lost to a stagnant economy, our transportation infrastructure would be moving toward a state of good repair, and transformative policies would be leading the way to a real 21st century transportation system, capable of meeting the challenges and opportunities ahead of us. 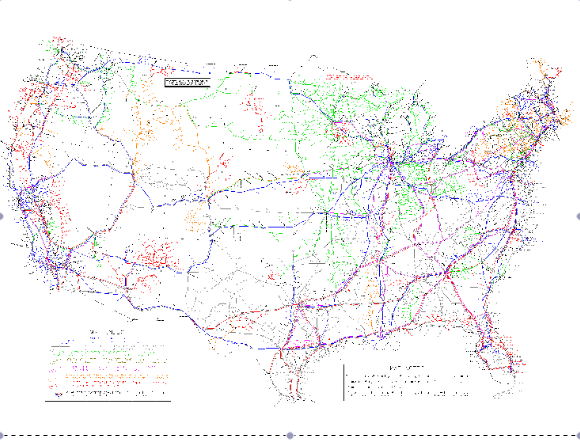 Thanks to the American Intercity Bus Riders Association (via Gizmodo) for this excellent, detailed map of all the intercity bus routes (as well as Amtrak) in the country (link here). One wonders: why have we not seen this before? And why do we need to depend on a small private group to do this work? Why hasn’t USDOT done this? I think the answer probably is that intercity bus is somewhat of a stepchild in the family of transportation modes (although in some corridors it has had a resurgence, led initially by the “Chinatown” buses). And yet intercity bus fills an important niche. Although we call it “intercity,” a look at the AIBRA map shows that a major function of the mode is providing a public transportation linkage to metropolitan centers from hundreds of small and medium size towns. This is not so different from the function of the interurban railways a hundred years ago. Why is this important for the future? A robust intercity bus system can help support sustainable development in small cities and small towns beyond the orbit of the big metro areas. 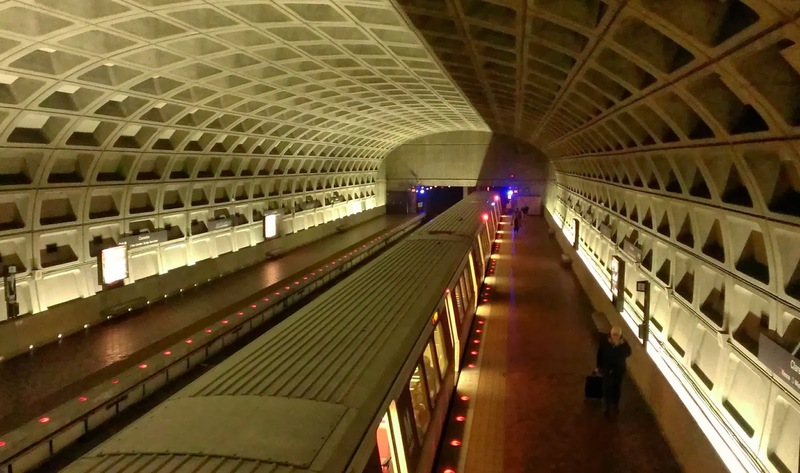 Washington’s Metro has won the American Institute of Architects 25-Year Award (story here). The AIA jury’s comments state that the “striking design of the prototypical Washington Metro station revolutionized public perceptions of mass transit” and that “station designs have held up remarkably well.” The stations are “airy and spacious” and “have become icons of Washington architecture.” Agreed! I had the opportunity many years ago to walk the first tunnels and stations of the Metro before it opened. I was impressed then and I’m impressed now at the beauty of the stations and how well they have held up. I’m not in complete agreement with all of the comments of the AIA editor, however. I agree that “the Washington Metro gives monumental civic space to the humble task of public transit, gravitas fit for the nation’s capital.” But I’m not entirely comfortable with the comments about Metro representing “mid-century modernist manner.” I’m no architectural historian, but for me, when I see a large space dominated by a concrete, coffered, barrel-vaulted ceiling I think Roman architecture! I think Basilica of Maxentius and Constantine, not LeCorbusier. Appropriate for a great republic (although, yes, I know, that building was really post-republic)! At any rate, Metro is a great asset for our nation’s capital. 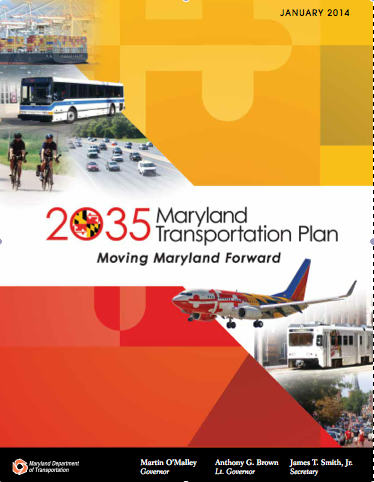 Maryland DOT has published the state’s new long-range transportation plan (2035 Maryland Transportation Plan: Moving Maryland Forward, available here) and it’s excellent! · It’s only 53 pages! Those of us who do these things for a living know how difficult it is to leave out all the details demanding to get into the book. · The plan also recognizes the technological revolution affecting transportation (electronic tolling, real-time travel data, online driver services, etc.) but again doesn’t pursue the implications as far as one might wish. · The plan notes that linking transportation infrastructure to economic development requires a more sophisticated knowledge of economic geography. In Maryland, “forty-two percent of all…jobs are located in 23 employment centers, which occupy just over one percent of the State’s land area,” mostly in the Baltimore and DC metro areas. Understanding what the economists call “agglomeration” of employment centers will be critical for transportation planners in the future. · The plan also promises more work on linking transportation to the state’s land use plan, PlanMaryland: “As part of efforts to ensure consistency with the statewide sustainable growth plan (PlanMaryland) and with the State’s Economic Growth, Resource Protection and Planning Act, MDOT is working to develop enhanced modeling and decision-support tools to better inform project evaluation and selection in the context of both land use considerations, and statewide planning and policy initiatives.” I’d love to see those tools when they’re done! Could the plan be better? Yes, I think so (nobody gets a 100 in this class). First, as I suggested above, it recognizes but doesn’t pursue the implications of major social and technological changes we are facing. I don’t believe any long-range plan is there yet, but they need to be engaging those questions. Second, I thought the issue of climate change was given too low a profile. It is there, but not as a marquee item. In a state which, according to some models (here) may yield a good deal of its land area to the Atlantic Ocean by the end of the century, it’s time to begin preparing policy makers and the public for significant challenges. Third, and more broadly, the plan doesn’t really envision what a 21st transportation system can be. Building the Red Line and the Purple Line are important, but they don’t get us to what public transportation could be and may need to be in the future. Improving the port may be justified for accommodating pressing freight needs, but manufacturing and distribution may be very different in the not too distant future. Is Maryland ready for self-driving cars? For non-fossil fuel transportation? These issues – and more – aren’t being fully addressed anywhere, but they need to be. Meanwhile, in the field of long-range transportation plans, Maryland has now put down what I think is probably the mark to beat. U. S. PIRG has been putting out a series of reports documenting how Americans’ travel habits of been changing – and how we in the transportation community have been slow to catch up (see my earlier posting here). The starting point of this work is the fact that the annual increase in Vehicle Miles Traveled, which had been considered a constant, rather like the speed of light, has disappeared. For a lot of reasons (partly the economic slowdown, but also partly demographic, social, and technological changes) both total VMT and VMT per capita are down. Nowhere have these changes been more pronounced than among the growing Millennial generation. And of course many of these Millennials have emerged from (or are still on) college campuses. 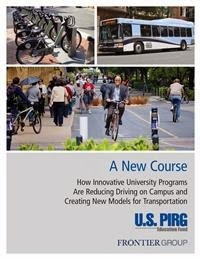 The new report (A New Course: How Innovative University Programs Are Reducing Driving on Campus and Creating New Models for Transportation, available here) takes a look at what’s been happening on campus and what we can learn from it. As the study notes, colleges are “natural laboratories for innovation” and in the past several years many have “married long-term sustainability concerns with short-term worries over parking and congestion to inform the long-term planning process.” These campuses have used a variety of techniques – free or reduced-fare transit, support for biking (including bikesharing), bike/ped infrastructure, ridesharing and carsharing, and “distance learning” – to provide non-Single Occupancy Vehicle transportation options for students, as well as faculty and staff. The results, as shown in several case studies, have been significant and, the authors argue, provide value beyond the campus boundaries. Students who have been able to move around freely without a car come to expect the same sort of mobility options when they enter the “real world” and provide an informed (and demanding) customer base for these services. Those of us in the “provider” world can also use the lessons of college campuses to pursue more innovative strategies in cities and towns. And in fact, as the report notes, many college towns have benefited from the impact of campus and town/gown programs. Well done U. S. PIRG!